One meal is included on the rate. Please choose which one would you like to take. Take it to the next level and drink in the splendor and luxury of the hot springs at The Springs Resort and Spa at Arenal the areas only 5-Star Resort! 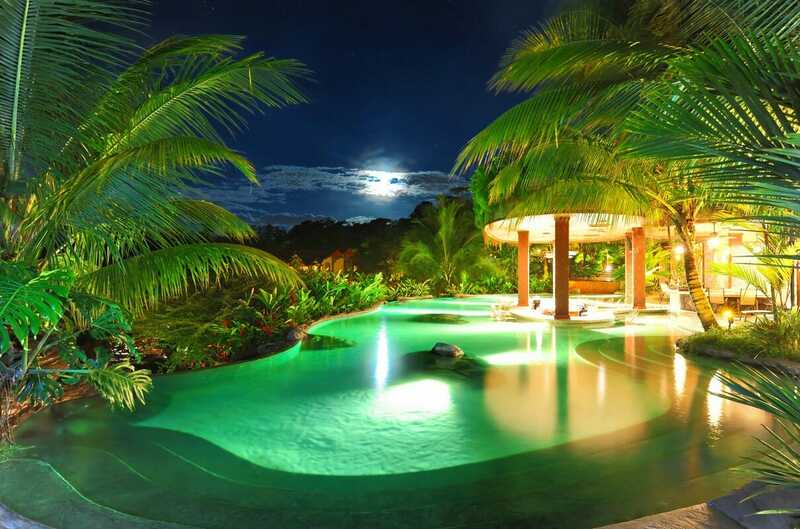 Experience the mineral-rich, thermal pools of Costa Rica at this resort that promises to overwhelm you in every aspect with their quality, service and design. 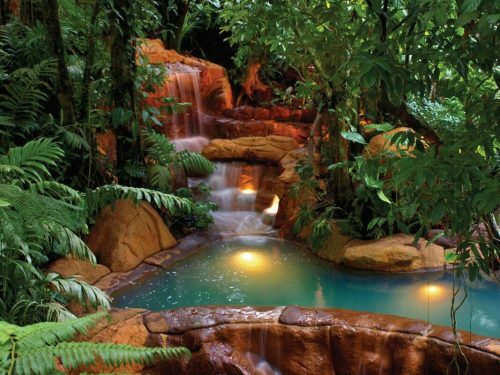 Costa Rica is known worldwide for the restorative and medicinal qualities their thermal waters provide. 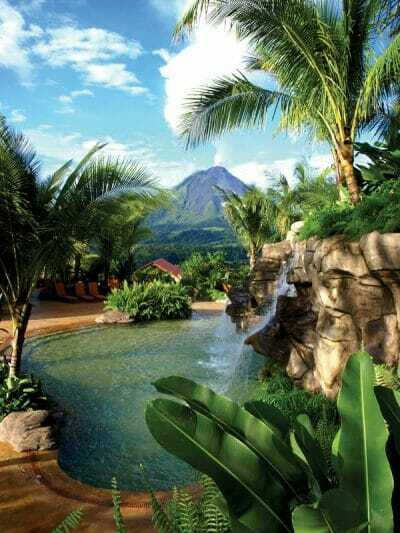 The Springs Resort and Spa at Arenal offers eighteen freeform, landscaped pools that will provide you with great views of the volcano and a multitude of options. With a spectacular view of the Arenal Volcano, Natural Hot Mineral Springs, Cool Restorative Pools & Waterfalls guests can find the perfect pool for their mood. With temperatures ranging from 83 F to 103F and environments that vary from raging waterfalls to tranquil forest experiences, you will be sure to find the pool that is right for you. Tests of the hot mineral springs located at The Springs Resort and Spa at Arenal reveal an ideal natural combination of high bicarbonates and high chlorides with relatively low sulfur content to provide a safe and clean soaking experience. The high level of natural salt chlorines in their spring water makes them the cleanest hot springs in the Arenal, La Fortuna region of Costa Rica. If you have the opportunity, don´t miss the chance to schedule a massage at their world-class Spa. 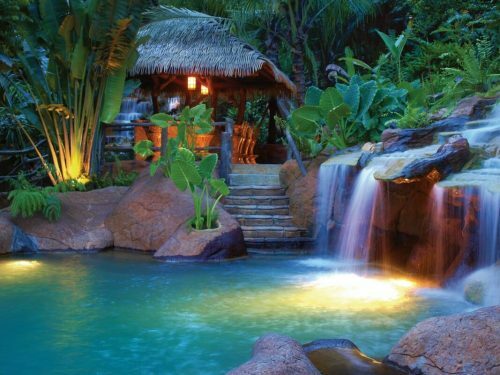 Before or after your treatment, be sure to take time to soak in the luxurious pools at The Springs.